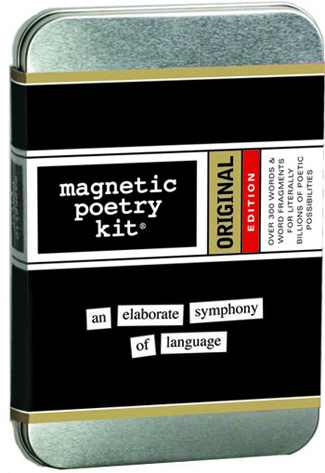 This is the kit that started the Magnetic Poetry legend and inspired refrigerator poets the world over. And now it comes in a tin carrying case that not only holds the magnets in transit, it holds the magnets in play too! If you need a creative spark or are looking for an introduction into the Magnetic Poetry phenomenon, this is the place to start.